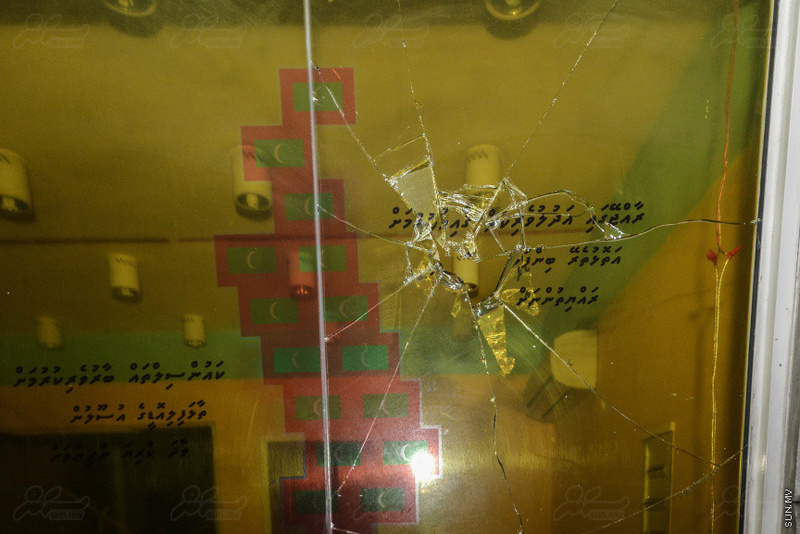 A vandalizing attack on the office of the opposition party, MDP, has smashed their windows. Police Media Official said that the attack was reported last night around 12:53 a.m. and an investigation is underway. The police did not comment as to any arrests being made in relation to the crime. It is believed that the windows were smashed by throwing something at it. No arrests have been made according to sources. 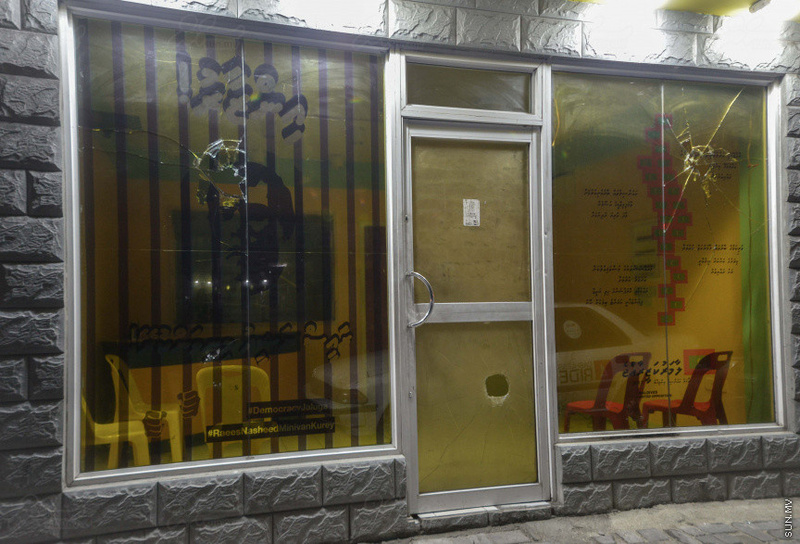 While the MDP office has been attacked, recently, their presidential candidate, Ibrahim Mohamed Solih (Ibu) was obstructed and confronted during his campaign in Hulhumale'. On the same day in Hulhumale', campaigners faced a motor oil attack. Cabinet Ministers on the PPM campaign were also confronted in Male' City. "Action needed against those who ran anti-campaigns"